Super exciting transit news! Metro is gearing up to break ground on Expo Line Phase 3 to Catalina Island. Thanks to funding and technology provided by tech visionary Tony Stark, the train will run under the Pacific and eliminate the need for boat travel, relieving congestion on the waves. The third phase of the Expo Line will be modeled on the exciting shark tunnel at the Georgia Aquarium. Photo: Wikimedia Commons. 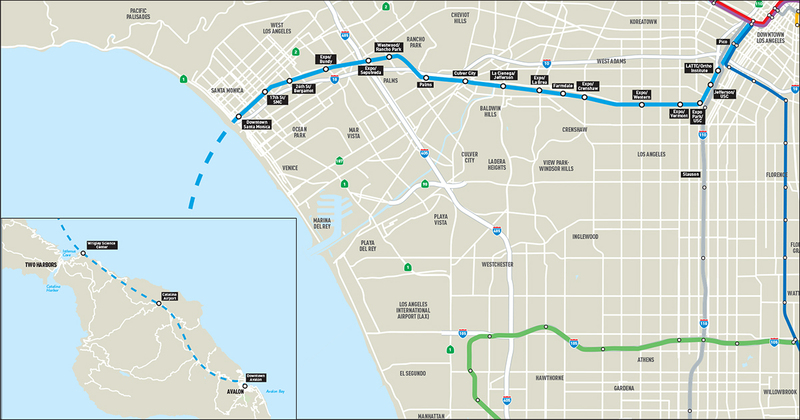 The project, more popularly known as the ‘California Chunnel,’ will finally connect the vital transit corridor between Santa Monica and Avalon. The project is expected to be completed by 2130 in time for the Catalina Wine Mixer, the biggest helicopter leasing event in the Western Hemisphere since 1997. 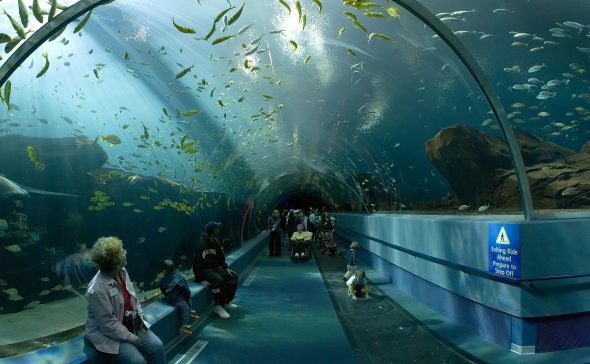 Metro is also exploring adding a Scuba Car, which will stop halfway between the island and mainland. Those with scuba gear will have 15 minutes to explore the surrounding area. Those without scuba gear will have approximately two minutes to explore. If that’s not enough time for you, we advise that you definitely do not sit in the Scuba Car. Pilot Scuba Car. Actual Scuba Car may appear different at launch. This is a blatant waste of tax payers money! Let Tony build his toys with his own money! LA County and METRO should instead invest in the cleaner, much faster to build and travel with, hyper -catapult. Travelers will have a ride through clean air and not through something resembling a sewer line! haha.. wait.. this is a joke right? Unless Iron Man is real (aka Tony Stark), yes it’s a joke! I, for one, cannot wait for clean Arc reactor-powered trains to begin running, even if it comes with an increased risk of supervillain attacks. At least Black Manta and most other aquatic villains are over in the DC multiverse. More choice for commuters is always a +! 2130?! Too good to be true!! 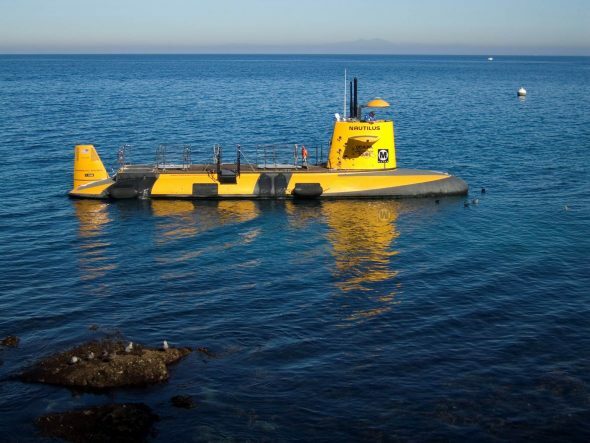 Would be super cool though to see the Metro Expo Line extend all the way to Catalina Island, as well as ride on that awesome Scuba Car! By the way, Happy April Fool’s Day! Let me guess, April Fools, right? This is a fantastic idea, I really wish it were true, however on a more serious note, I have a flyer/map from April 1992 with a title of “METRO – An Integrated Transportation System” that showed Metro as a complete system, including “Metro Ferry.” It showed a line (by ferry of course) to Catalina Island. Whatever happened to the idea of the ferry system being integrated as part of the Metro system? On this map was also Metro Park & Ride, Metro Bikeways, Metro Hotline, Metro Electric Bus, Metro Call Boxes, Metro Dial A Ride, Metro Tow Trucks, Metro Rail, Metro Bus….it’s a really neat map, good thing I hung on to it. A lot of the rail lines were proposed on it at the time, and now many of them are a reality, never did I thought it would actually happen, but there are many more we still need (such as Pasadena to Glendale rail). Can we see a copy of it? Please! Can you upload and link a copy of that map? Thanks. And a Happy April Fool’s Day to you too! 2130, one hundred and seventeen years? All though this is obviously an April fools joke, it will be really great for the Expo line to extend to Santa Catalina island, or at least a new ferry line connecting tge Expo line to Catalina. How’s this for an April Fool’s joke: Metro builds a $2 billion train from LA to Santa Monica, and the city of LA makes it stop at every traffic light. It runs 10 minutes slower than the Santa Monica Freeway bus. At it runs two car trains at rush hour! Are the trains still stopping at the maintenance yard, to let the off-duty driver off, so he doesn’t have to walk 2 blocks from the station? Why, yes! Oh, wait, it’s SOP at Metro, Jake. Far too many days I’ll be tempted to stay on past 26th/Bergamot. Very clever, but obviously April Fool’s Day posting. Does that mean train operators will make more money? I’ve been hearing rumors about Phase 4 to Honolulu. I heard from a City Councilman that plans are in the works to extend the expo line from Catalina to Hawaii after this project is completed. What a ride that will be..
A bridge to Hawaii is more practical than an undersea train. The genie laughed and said, “That’s impossible!!! Finally, he said, “I’ve been married and divorced four times. My wives always said that I don’t care and that I’m insensitive. Whoa, this reminds me of something out of a computer game from maybe 20 years ago – the sequel to Myst, called Riven, had one location where you could get into a cart or cable car that traveled to an adjacent island by going underwater through a transparent tunnel. Hooray for predicting the future! Everybody who believes this stand on your head & line up for the bridge sale in Brooklyn.